Imagine being able to have a desire for something very important to you in your life and being able to stay focused on that. To have a belief that it will manifest. You can see it with your mind’s eye, you can smell it, imagine feeling it with your hands, and hear the sounds that will fill your life. Does imagining this ability to focus in this way causes your heart to beat faster, your breathing to increase, and your hands to become sweaty? They are the thoughts your well-intended brain begins to produce. The reason is, the brain is attempting to keep the status quo, to stay in the safe lane, inside the zone of comfort and familiarity, as a way to protect you from failure and hardship. Well, that brain needs to learn a few new ideas, doesn’t it? This is where my title, TO CONTROL OR TO BE CONTROLLED comes in. YOUR EMOTIONS. Now before you think for a minute that emotions can be controlled, let me clarify. 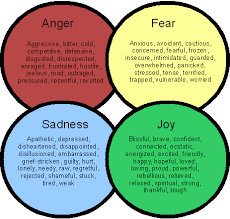 Emotions are just what they are…and there are a few basic emotions that all emotion stems from: joy, sadness, anger, fear. It is very important that we not tell someone to feel a certain way. Feelings are the thoughts in response to a circumstance that causes an emotion. It is these thoughts that then leads to an interpretation of the circumstance. This is the key to understanding where emotions come from and what can be controlled. It is the interpretation we all place on an event or a circumstance. If one could stop and reflect on what interpretation are your thoughts creating and where does that interpretation originate, using logic and think it through and understand the produced emotion. In our society this past year, there have been too many horrific shootings of children done by youth or young adults. As a result, my passion has begun to revolve around a long term, multi-facetted outcome solution. It begins with shifting our teaching of young children to include emotion education. In our early childhood facilities, a great deal of emphasis is placed on academic learning to prepare them for kindergarten and beyond. That is fine except when there are no intentional ways implemented to build and strengthen a child’s emotional intelligence. These skills can be learned and expected. Making this a priority will produce children who have lower anxiety, prone to less stress, experience less bullying, and achieve more in school and in life. Emotional intelligence (EQ) has more influence in one’s level of fulfillment in life than does one’s intellectual quotient (IQ). Studies have shown that IQ , your ability to learn, is fixed but EQ can be changed. The definition of emotional intelligence is the ability to identify and manage your own emotions and the emotions of others. I have studied and dissected what EQ is and am now teaching early education teachers how to implement specific tools and techniques in the classroom that increase children’s EQ and to encourage the Directors to support the shift in the culture within their school and create a climate of care and harmony. The 5 basic parts I teach are how to identify, label, and communicate emotions, how to manage and cope with these emotions, how to identify how others feel (empathy), how to build relationships with others, and how to develop a growth mindset that leads to loving learning and not fearing failure. When a circumstance triggers a thought that interprets that event and creates an emotion, we could stop and ask ourselves if that interpretation is truth or stems from past circumstances. This seems like a lot of thinking but that is what you can learn to control and redirect. How often have you heard someone say, “He made me so mad!” Instead of, “I allowed myself to get mad because I took what he did personally.” That is taking control. I have hope that our world can be one where each of us learn how to be aware of our feelings, what causes them, are able to communicate them in words rather than destructive actions, to listen with an empathetic ear, that will then lead to more deeply understanding each other. I hope that we all can learn to feel what other people feel as a result of our actions and are sensitive to not intentionally hurting and take the steps needed to help those who feel lonely and isolated. Take time every day to take an inventory of all for which there is to be grateful. Reflect on self, what emotions do I have, where do they come from, and what interpretation and thoughts have caused them. Pause and take a breath when an emotion has been triggered. Allow time to think before responding. Let others know how you are feeling, when it involves them and a misunderstanding. Pent up unresolved emotions do not go away. They fester and can cause stress, anxiety, health problems and more. Best to talk and express. We never really know what is going on in someone’s life. Keep the mantra of, “It’s not personal”. It may be more about the other person than you. Do not hesitate to be the first to apologize and take responsibility for misunderstandings, that leads to reconciliation. Not everyone is working on their emotional intelligence like you. At the end of the day, controlling thoughts, interpretations, and response to emotions will lead to a life where the waves that crash upon us each day are not going to wash us up on shore. 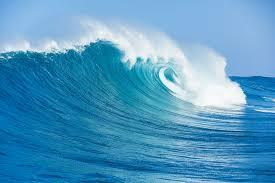 We can interpret each wave in ways that help us become more of what we were created to become. That is not something washed up on shore, brought down. Instead made stronger, wiser, and more capable to see what awaits around the next corner of life with eager anticipation knowing in our heart we will not only be okay, we will be amazing! !